Spider veins are frustrating. They mar the surface of your skin. The most common place for them to appear is on the legs. When they become noticeable, the last thing you want to do is let them show. Worse yet, they can become painful. You’ve done everything you can to try and make them go away. Nothing has worked. It’s time to let us help with sclerotherapy. It’s a popular approach to treat both spider veins and varicose veins. How Can Sclerotherapy Get Rid of Your Spider Veins? Sclerotherapy is a procedure that is minimally invasive. It is typically used to target spider veins and varicose veins that are not too severe. The first step is to target your problem veins. The next step is to inject a special solution into the problem veins. The irritant causes a collapse of the vein walls. Once the vein walls collapse, your blood will reroute into surrounding healthy veins. It will no longer pass through the treated veins. 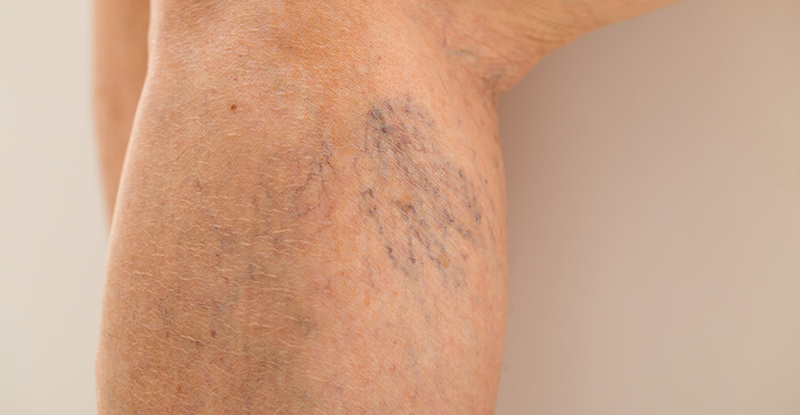 In time, your spider veins will fade away. Healthy tissue will replace your spider veins. You can move forward with confidence in your clear and healthy skin..
Why Choose Sclerotherapy to Address Your Spider Veins? Scleroptherapy is a minor procedure that spares you surgery when you want to eliminate spider veins. Your doctor can use a local anesthetic before your treatment so that you don’t experience any discomfort while you are receiving your injections. Once your treatment is over, there is nothing more you have to do except where compression stockings for the amount of time specified by your doctor. You will also be advised to walk to improve your circulation. Is There Anything You Can Do to Try and Avoid Spider Veins in the Future? The best thing you can do to avoid spider veins and varicose veins is improve your circulation. Getting exercise can make your blood pump more effectively. Walking is one of the best exercises you can do. If spider veins are bothering you, it’s time to find a solution. Reach out to the professionals here at Rejuveination located in Cincinnati, OH, to learn more about Sclerotherapy. Contact us today and schedule your consultation!